Music has an uncanny way of bringing us back to a specific point in time, and each generation seems to have its own opinions about which tunes will live on as classics. New research suggests that young adults today are fond of and have an emotional connection to the music that was popular for their parents’ generation. The study, published in Psychological Science, a journal of the Association for Psychological Science, reveals that while songs that were popular in our early 20s seem to have the greatest lasting emotional impact, music that was popular during our parents’ younger days also evokes vivid memories. 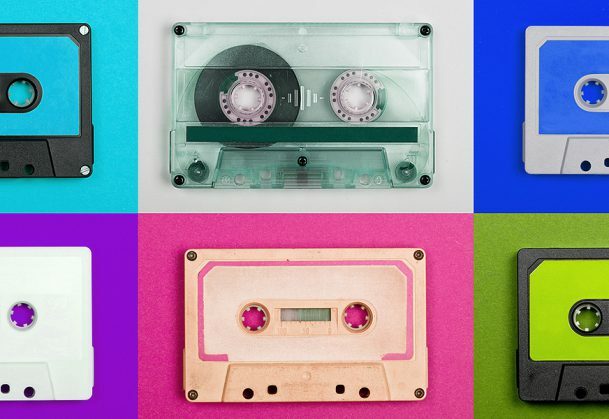 To explore the connection between autobiographical memories and musical memories, Krumhansl and Justin Zupnick of the University of California, Santa Cruz asked 62 college-age participants to listen to two top Billboard hits per year from 1955 to 2009. The researchers wanted to see which periods of music were most memorable for the participants, which songs conjured up the strongest feelings, and which ones made the participants happy, sad, energized, or nostalgic. In addition, participants were asked whether they remembered listening to the song by themselves, with their parents, or amongst friends. The data revealed that participants’ personal memories associated with songs increased steadily as they got older, from birth until the present day. This finding makes sense – we recall more recent songs better, ascribe memories to them more easily, and feel a stronger emotional connection with them. But the more surprising finding — one which the researchers didn’t expect to see — was a drastic bump in memories, recognition, perceived quality, liking, and emotional connection with the music that was popular in the early 1980s, when the participants’ parents were about 20-25 years old. That is, participants seemed to demonstrate a particular affinity for the songs their parents were listening to as young adults. And there was another, albeit smaller, ‘reminiscence bump’ for the music of the 1960s – more than two decades before the participants were born. Krumhansl and Zupnick speculate that reminiscence for this music could have been transmitted from the participants’ grandparents, who would have been in their 20s or 30s in the 1960s. Another possibility — one that might be favored by those of the Baby Boomer generation — is that the music of the 1960s is truly of higher quality. The researchers are launching a web-based survey to explore these questions further. The survey will include a century of top hits and Krumhansl and Zupnick hope that listeners of all ages, especially older adults, will participate. “It will be fascinating to see if we can trace intergenerational influences back through more generations, better understand the ‘sixties’ bump,’ and look for effects of the vast changes in music technology that have occurred over the last century,” says Krumhansl.